"Computer sciences" redirects here. For the American corporation, see Computer Sciences Corporation. Computer science deals with the theoretical foundations of computation and practical techniques for their application. In engineering, a process is a series of interrelated tasks that, together, transform inputs into outputs. These tasks may be carried out by people, nature or machines using various resources; an engineering process must be considered in the context of the agents carrying out the tasks and the resource attributes involved. Systems engineering normative documents and those related to Maturity Models are typically based on processes, for example, systems engineering processes of the EIA-632 and processes involved in the Capability Maturity Model Integration (CMMI) institutionalization and improvement approach. Constraints imposed on the tasks and resources required to implement them are essential for executing the tasks mentioned. Its fields can be divided into theoretical and practical disciplines. Computational complexity theory is highly abstract, while computer graphics emphasizes real-world applications. Programming language theory considers approaches to the description of computational processes, while computer programming itself involves the use of programming languages and complex systems. Human–computer interaction considers the challenges in making computers useful, usable, and accessible. Computational complexity theory focuses on classifying computational problems according to their inherent difficulty, and relating these classes to each other. A computational problem is a task solved by a computer. A computation problem is solvable by mechanical application of mathematical steps, such as an algorithm. Computer graphics is a sub-field of Computer Science which studies methods for digitally synthesizing and manipulating visual content. Although the term often refers to the study of three-dimensional computer graphics, it also encompasses two-dimensional graphics and image processing. 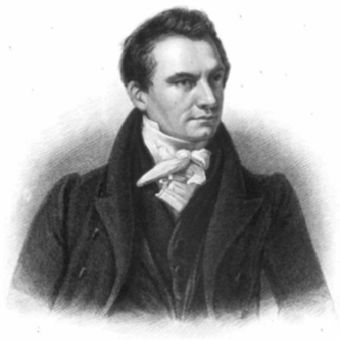 Charles Babbage, sometimes referred to as the "father of computing". The earliest foundations of what would become computer science predate the invention of the modern digital computer. Machines for calculating fixed numerical tasks such as the abacus have existed since antiquity, aiding in computations such as multiplication and division. Algorithms for performing computations have existed since antiquity, even before the development of sophisticated computing equipment. The abacus, also called a counting frame, is a calculating tool that was in use in Europe, China and Russia, centuries before the adoption of the written Hindu–Arabic numeral system. The exact origin of the abacus is still unknown. Today, abacuses are often constructed as a bamboo frame with beads sliding on wires, but originally they were beans or stones moved in grooves in sand or on tablets of wood, stone, or metal. In mathematics and computer science, an algorithm is an unambiguous specification of how to solve a class of problems. Algorithms can perform calculation, data processing, automated reasoning, and other tasks. Wilhelm Schickard was a German professor of Hebrew and Astronomy who became famous in the second part of the 20th century after Dr. Franz Hammer, a biographer of Johannes Kepler, claimed that the drawings of a calculating clock, predating the public release of Pascal's calculator by twenty years, had been discovered in two unknown letters written by Schickard to Johannes Kepler in 1623 and 1624. Charles Xavier Thomas de Colmar was a French inventor and entrepreneur best known for designing, patenting and manufacturing the first commercially successful mechanical calculator, the Arithmometer, and for founding the insurance companies Le Soleil and L'aigle which, under his leadership, became the number one insurance group in France at the beginning of the Second Empire. During the 1940s, as new and more powerful computing machines were developed, the term computer came to refer to the machines rather than their human predecessors. As it became clear that computers could be used for more than just mathematical calculations, the field of computer science broadened to study computation in general. In 1945, IBM founded the Watson Scientific Computing Laboratory at Columbia University in New York City. The renovated fraternity house on Manhattan's West Side was IBM's first laboratory devoted to pure science. 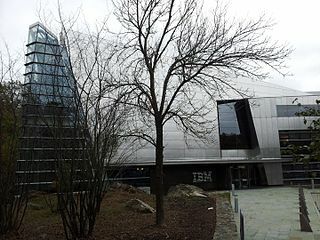 The lab is the forerunner of IBM's Research Division, which today operates research facilities around the world. Ultimately, the close relationship between IBM and the university was instrumental in the emergence of a new scientific discipline, with Columbia offering one of the first academic-credit courses in computer science in 1946. Computer science began to be established as a distinct academic discipline in the 1950s and early 1960s. The world's first computer science degree program, the Cambridge Diploma in Computer Science, began at the University of Cambridge Computer Laboratory in 1953. The first computer science degree program in the United States was formed at Purdue University in 1962. Since practical computers became available, many applications of computing have become distinct areas of study in their own rights. Computing is any activity that uses computers. It includes developing hardware and software, and using computers to manage and process information, communicate and entertain. Computing is a critically important, integral component of modern industrial technology. Major computing disciplines include computer engineering, software engineering, computer science, information systems, and information technology. Time has seen significant improvements in the usability and effectiveness of computing technology. Modern society has seen a significant shift in the users of computer technology, from usage only by experts and professionals, to a near-ubiquitous user base. Initially, computers were quite costly, and some degree of humanitarian aid was needed for efficient use—in part from professional computer operators. As computer adoption became more widespread and affordable, less human assistance was needed for common usage. The German military used the Enigma machine (shown here) during World War II for communications they wanted kept secret. The large-scale decryption of Enigma traffic at Bletchley Park was an important factor that contributed to Allied victory in WWII. Scientific computing enabled practical evaluation of processes and situations of great complexity, as well as experimentation entirely by software. It also enabled advanced study of the mind, and mapping of the human genome became possible with the Human Genome Project. Distributed computing projects such as Folding@home explore protein folding. Although first proposed in 1956,  the term "computer science" appears in a 1959 article in Communications of the ACM ,  in which Louis Fein argues for the creation of a Graduate School in Computer Sciences analogous to the creation of Harvard Business School in 1921,  justifying the name by arguing that, like management science, the subject is applied and interdisciplinary in nature, while having the characteristics typical of an academic discipline. His efforts, and those of others such as numerical analyst George Forsythe, were rewarded: universities went on to create such programs, starting with Purdue in 1962. Despite its name, a significant amount of computer science does not involve the study of computers themselves. Because of this, several alternative names have been proposed. Certain departments of major universities prefer the term computing science, to emphasize precisely that difference. Danish scientist Peter Naur suggested the term datalogy,  to reflect the fact that the scientific discipline revolves around data and data treatment, while not necessarily involving computers. The first scientific institution to use the term was the Department of Datalogy at the University of Copenhagen, founded in 1969, with Peter Naur being the first professor in datalogy. The term is used mainly in the Scandinavian countries. 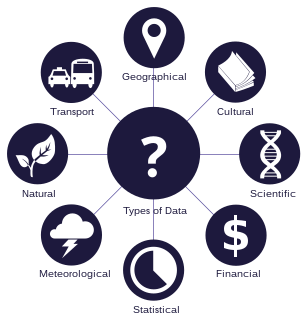 An alternative term, also proposed by Naur, is data science; this is now used for a multi-disciplinary field of data analysis, including statistics and databases. A folkloric quotation, often attributed to—but almost certainly not first formulated by—Edsger Dijkstra, states that "computer science is no more about computers than astronomy is about telescopes." [note 3] The design and deployment of computers and computer systems is generally considered the province of disciplines other than computer science. For example, the study of computer hardware is usually considered part of computer engineering, while the study of commercial computer systems and their deployment is often called information technology or information systems. However, there has been much cross-fertilization of ideas between the various computer-related disciplines. Computer science research also often intersects other disciplines, such as philosophy, cognitive science, linguistics, mathematics, physics, biology, statistics, and logic. Theoretical Computer Science is mathematical and abstract in spirit, but it derives its motivation from practical and everyday computation. Its aim is to understand the nature of computation and, as a consequence of this understanding, provide more efficient methodologies. All studies related to mathematical, logic and formal concepts and methods could be considered as theoretical computer science, provided that the motivation is clearly drawn from the field of computing. Data structures and algorithms are the study of commonly used computational methods and their computational efficiency. According to Peter Denning, the fundamental question underlying computer science is, "What can be (efficiently) automated?" Theory of computation is focused on answering fundamental questions about what can be computed and what amount of resources are required to perform those computations. In an effort to answer the first question, computability theory examines which computational problems are solvable on various theoretical models of computation. The second question is addressed by computational complexity theory, which studies the time and space costs associated with different approaches to solving a multitude of computational problems. The famous P = NP? problem, one of the Millennium Prize Problems,  is an open problem in the theory of computation. Information theory is related to the quantification of information. This was developed by Claude Shannon to find fundamental limits on signal processing operations such as compressing data and on reliably storing and communicating data. Coding theory is the study of the properties of codes (systems for converting information from one form to another) and their fitness for a specific application. Codes are used for data compression, cryptography, error detection and correction, and more recently also for network coding. Codes are studied for the purpose of designing efficient and reliable data transmission methods. Programming language theory is a branch of computer science that deals with the design, implementation, analysis, characterization, and classification of programming languages and their individual features. It falls within the discipline of computer science, both depending on and affecting mathematics, software engineering, and linguistics. It is an active research area, with numerous dedicated academic journals. Formal methods are a particular kind of mathematically based technique for the specification, development and verification of software and hardware systems. The use of formal methods for software and hardware design is motivated by the expectation that, as in other engineering disciplines, performing appropriate mathematical analysis can contribute to the reliability and robustness of a design. They form an important theoretical underpinning for software engineering, especially where safety or security is involved. Formal methods are a useful adjunct to software testing since they help avoid errors and can also give a framework for testing. For industrial use, tool support is required. However, the high cost of using formal methods means that they are usually only used in the development of high-integrity and life-critical systems, where safety or security is of utmost importance. Formal methods are best described as the application of a fairly broad variety of theoretical computer science fundamentals, in particular logic calculi, formal languages, automata theory, and program semantics, but also type systems and algebraic data types to problems in software and hardware specification and verification. Computer architecture, or digital computer organization, is the conceptual design and fundamental operational structure of a computer system. It focuses largely on the way by which the central processing unit performs internally and accesses addresses in memory. The field often involves disciplines of computer engineering and electrical engineering, selecting and interconnecting hardware components to create computers that meet functional, performance, and cost goals. Computer performance analysis is the study of work flowing through computers with the general goals of improving throughput, controlling response time, using resources efficiently, eliminating bottlenecks, and predicting performance under anticipated peak loads. Benchmarks provide a method of comparing the performance of various subsystems across different chip/system architectures. Concurrency is a property of systems in which several computations are executing simultaneously, and potentially interacting with each other. A number of mathematical models have been developed for general concurrent computation including Petri nets, process calculi and the Parallel Random Access Machine model. A distributed system extends the idea of concurrency onto multiple computers connected through a network. Computers within the same distributed system have their own private memory, and information is often exchanged among themselves to achieve a common goal. This branch of computer science aims to manage networks between computers worldwide. Computer security is a branch of computer technology with an objective of protecting information from unauthorized access, disruption, or modification while maintaining the accessibility and usability of the system for its intended users. Cryptography is the practice and study of hiding (encryption) and therefore deciphering (decryption) information. Modern cryptography is largely related to computer science, for many encryption and decryption algorithms are based on their computational complexity. A database is intended to organize, store, and retrieve large amounts of data easily. Digital databases are managed using database management systems to store, create, maintain, and search data, through database models and query languages. Computer graphics is the study of digital visual contents and involves the synthesis and manipulation of image data. The study is connected to many other fields in computer science, including computer vision, image processing, and computational geometry, and is heavily applied in the fields of special effects and video games. Research that develops theories, principles, and guidelines for user interface designers, so they can create satisfactory user experiences with desktop, laptop, and mobile devices. Artificial intelligence (AI) aims to or is required to synthesize goal-orientated processes such as problem-solving, decision-making, environmental adaptation, learning, and communication found in humans and animals. From its origins in cybernetics and in the Dartmouth Conference (1956), artificial intelligence research has been necessarily cross-disciplinary, drawing on areas of expertise such as applied mathematics, symbolic logic, semiotics, electrical engineering, philosophy of mind, neurophysiology, and social intelligence. AI is associated in the popular mind with robotic development, but the main field of practical application has been as an embedded component in areas of software development, which require computational understanding. The starting point in the late 1940s was Alan Turing's question "Can computers think? ", and the question remains effectively unanswered, although the Turing test is still used to assess computer output on the scale of human intelligence. But the automation of evaluative and predictive tasks has been increasingly successful as a substitute for human monitoring and intervention in domains of computer application involving complex real-world data. Software engineering is the study of designing, implementing, and modifying software in order to ensure it is of high quality, affordable, maintainable, and fast to build. It is a systematic approach to software design, involving the application of engineering practices to software. Software engineering deals with the organizing and analyzing of software—it doesn't just deal with the creation or manufacture of new software, but its internal maintenance and arrangement. Functional programming, a style of building the structure and elements of computer programs that treats computation as the evaluation of mathematical functions and avoids state and mutable data. It is a declarative programming paradigm, which means programming is done with expressions or declarations instead of statements. Imperative programming, a programming paradigm that uses statements that change a program's state. In much the same way that the imperative mood in natural languages expresses commands, an imperative program consists of commands for the computer to perform. Imperative programming focuses on describing how a program operates. Object-oriented programming, a programming paradigm based on the concept of "objects", which may contain data, in the form of fields, often known as attributes; and code, in the form of procedures, often known as methods. A feature of objects is that an object's procedures can access and often modify the data fields of the object with which they are associated. Thus Object-oriented computer programs are made out of objects that interact with one another. Institute of Electrical and Electronics Engineers (IEEE) produces over 30% of the world's literature in the electrical and electronics engineering and computer science fields, publishing well over 100 peer-reviewed journals. ↑ See the entry "Computer science" on Wikiquote for the history of this quotation. ↑ The word "anything" is written in quotation marks because there are things that computers cannot do. One example is: to answer the question if an arbitrary given computer program will eventually finish or run forever (the Halting problem). Computer science is the study of the theoretical foundations of information and computation and their implementation and application in computer systems. One well known subject classification system for computer science is the ACM Computing Classification System devised by the Association for Computing Machinery. Computational archaeology describes computer-based analytical methods for the study of long-term human behaviour and behavioural evolution. As with other sub-disciplines that have prefixed 'computational' to their name, the term is reserved for methods that could not realistically be performed without the aid of a computer. Information systems (IS) are formal, sociotechnical, organizational systems designed to collect, process, store, and distribute information. In a sociotechnical perspective, information systems are composed by four components: task, people, structure, and technology. John Edward Hopcroft is an American theoretical computer scientist. His textbooks on theory of computation and data structures are regarded as standards in their fields. He is the IBM Professor of Engineering and Applied Mathematics in Computer Science at Cornell University. Bio-inspired computing, short for biologically inspired computing, is a field of study that loosely knits together subfields related to the topics of connectionism, social behaviour and emergence. It is often closely related to the field of artificial intelligence, as many of its pursuits can be linked to machine learning. It relies heavily on the fields of biology, computer science and mathematics. Briefly put, it is the use of computers to model the living phenomena, and simultaneously the study of life to improve the usage of computers. Biologically inspired computing is a major subset of natural computation. Peter James Denning is an American computer scientist and writer. He is best known for pioneering work in virtual memory, especially for inventing the working-set model for program behavior, which addressed thrashing in operating systems and became the reference standard for all memory management policies. He is also known for his works on principles of operating systems, operational analysis of queueing network systems, design and implementation of CSNET, the ACM digital library, codifying the great principles of computing, and most recently for the book The Innovator's Way, on innovation as a set of learnable practices. Computational science is a rapidly growing multidisciplinary field that uses advanced computing capabilities to understand and solve complex problems. It is an area of science which spans many disciplines, but at its core it involves the development of models and simulations to understand natural systems. The Bachelor of Computer Science or Bachelor of Science in Computer Science is a type of bachelor's degree, usually awarded after three or four years of collegiate study in computer science, but possibly awarded in fewer years depending on factors such as an institution's course requirements and academic calendar. In some cases it can be awarded in five years. In general, computer science degree programs emphasize the mathematical and theoretical foundations of computing. ↑ "WordNet Search—3.1". Wordnetweb.princeton.edu. Retrieved 14 May 2012. ↑ "Charles Babbage Institute: Who Was Charles Babbage?". cbi.umn.edu. Retrieved 28 December 2016. 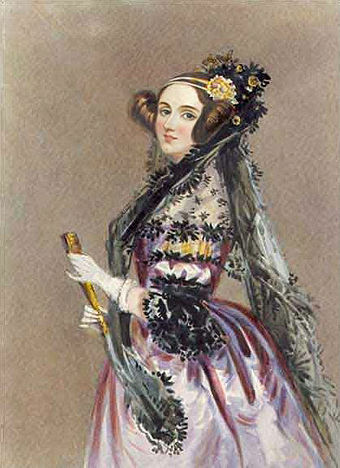 ↑ "Ada Lovelace | Babbage Engine | Computer History Museum". www.computerhistory.org. Retrieved 28 December 2016. ↑ "Wilhelm Schickard – Ein Computerpionier" (PDF) (in German). ↑ Keates, Fiona (25 June 2012). "A Brief History of Computing". The Repository. The Royal Society. ↑ "Science Museum—Introduction to Babbage". Archived from the original on September 8, 2006. Retrieved 24 September 2006. 1 2 Anthony Hyman (1982). Charles Babbage, pioneer of the computer. ↑ "A Selection and Adaptation From Ada's Notes found in Ada, The Enchantress of Numbers," by Betty Alexandra Toole Ed.D. Strawberry Press, Mill Valley, CA". Archived from the original on February 10, 2006. Retrieved 4 May 2006. ↑ The Association for Computing Machinery (ACM) was founded in 1947. ↑ "IBM Archives: 1945". Ibm.com. Retrieved 2019-03-19. ↑ "IBM100 – The Origins of Computer Science". Ibm.com. 1995-09-15. Retrieved 2019-03-19. 1 2 3 Denning, Peter J. (2000). "Computer Science: The Discipline" (PDF). Encyclopedia of Computer Science. Archived from the original (PDF) on May 25, 2006. ↑ "Some EDSAC statistics". University of Cambridge. Retrieved 19 November 2011. ↑ "Computer science pioneer Samuel D. Conte dies at 85". Purdue Computer Science. July 1, 2002. Retrieved December 12, 2014. 1 2 Levy, Steven (1984). Hackers: Heroes of the Computer Revolution. Doubleday. ISBN 978-0-385-19195-1. 1 2 3 4 Tedre, Matti (2014). The Science of Computing: Shaping a Discipline. Taylor and Francis / CRC Press. ↑ "IBM 704 Electronic Data Processing System—CHM Revolution". Computerhistory.org. Retrieved 7 July 2013. ↑ "IBM 709: a powerful new data processing system" (PDF). Computer History Museum. Archived from the original (PDF) on March 4, 2016. Retrieved December 12, 2014. ↑ "Timeline of Computer History". Computer History Museum. Retrieved November 24, 2015. 1 2 David Kahn, The Codebreakers, 1967, ISBN 0-684-83130-9. 1 2 "Computer Science : Achievements and Challenges circa 2000" (PDF). Archived from the original (PDF) on September 11, 2006. Retrieved January 11, 2007. ↑ Constable, R.L. (March 2000). "Computer Science: Achievements and Challenges circa 2000" (PDF). ↑ Abelson, H.; G.J. Sussman with J. Sussman (1996). Structure and Interpretation of Computer Programs (2nd ed.). MIT Press. ISBN 978-0-262-01153-2. The computer revolution is a revolution in the way we think and in the way we express what we think. The essence of this change is the emergence of what might best be called procedural epistemology – the study of the structure of knowledge from an imperative point of view, as opposed to the more declarative point of view taken by classical mathematical subjects. ↑ "Black box traders are on the march". The Telegraph. August 26, 2006. Archived from the original on June 21, 2008. ↑ Kirilenko, Andrei A.; Kyle, Albert S.; Samadi, Mehrdad; Tuzun, Tugkan (2017-01-06). "The Impact of High Frequency Trading on an Electronic Market". Papers.ssrn.com. doi:10.2139/ssrn.1686004. SSRN 1686004 . ↑ Maly, Timy (2013-01-30). "How Digital Filmmakers Produced a Gorgeous Sci-Fi Movie on a Kickstarter Budget". Wired. Retrieved November 24, 2015. ↑ Matthau, Charles (2015-01-08). "How Tech Has Shaped Film Making: The Film vs. Digital Debate Is Put to Rest". Wired. Retrieved November 24, 2015. 1 2 Louis Fine (1959). "The Role of the University in Computers, Data Processing, and Related Fields". Communications of the ACM. 2 (9): 7–14. doi:10.1145/368424.368427. ↑ "Stanford University Oral History". Stanford University. Retrieved May 30, 2013. ↑ Matti Tedre (2006). "The Development of Computer Science: A Sociocultural Perspective" (PDF). p. 260. Retrieved December 12, 2014. ↑ Peter Naur (1966). "The science of datalogy". Communications of the ACM. 9 (7): 485. doi:10.1145/365719.366510. ↑ Weiss, E.A. ; Corley, Henry P.T. "Communications of the ACM". Communications of the ACM. 1 (4): 6. doi:10.1145/368796.368802. ↑ P. Mounier-Kuhn, L'Informatique en France, de la seconde guerre mondiale au Plan Calcul. L'émergence d'une science, Paris, PUPS, 2010, ch. 3 & 4. ↑ Groth, Dennis P. (2010-03-13). "Why an Informatics Degree? | February 2010 | Communications of the ACM". Cacm.acm.org. Retrieved 2019-03-19. ↑ Tedre, M. (2011). "Computing as a Science: A Survey of Competing Viewpoints". Minds and Machines. 21 (3): 361–387. doi:10.1007/s11023-011-9240-4. ↑ Parnas, D.L. (1998). "Software engineering programmes are not computer science programmes". Annals of Software Engineering. 6: 19–37. doi:10.1023/A:1018949113292. , p. 19: "Rather than treat software engineering as a subfield of computer science, I treat it as an element of the set, Civil Engineering, Mechanical Engineering, Chemical Engineering, Electrical Engineering, […]"
↑ Wegner, P. (October 13–15, 1976). Research paradigms in computer science—Proceedings of the 2nd international Conference on Software Engineering. San Francisco, California, United States: IEEE Computer Society Press, Los Alamitos, CA. ↑ Denning, P.J. ; Comer, D.E. ; Gries, D.; Mulder, M.C. ; Tucker, A.; Turner, A.J. ; Young, P.R. (January 1989). "Computing as a discipline". Communications of the ACM. 32: 9–23. doi:10.1145/63238.63239. ↑ Eden, A.H. (2007). "Three Paradigms of Computer Science" (PDF). Minds and Machines . 17 (2): 135–167. CiteSeerX 10.1.1.304.7763 . doi:10.1007/s11023-007-9060-8. Archived from the original (PDF) on February 15, 2016. 1 2 "Computer Science as a Profession". Computing Sciences Accreditation Board. May 28, 1997. Archived from the original on June 17, 2008. Retrieved 23 May 2010. ↑ Committee on the Fundamentals of Computer Science: Challenges and Opportunities, National Research Council (2004). Computer Science: Reflections on the Field, Reflections from the Field. National Academies Press. ISBN 978-0-309-09301-9. ↑ "CSAB Leading Computer Education". CSAB. August 3, 2011. Retrieved 19 November 2011. ↑ P. Collins, Graham (October 14, 2002). "Claude E. Shannon: Founder of Information Theory". Scientific American. Retrieved December 12, 2014. ↑ A. Thisted, Ronald (April 7, 1997). "Computer Architecture" (PDF). The University of Chicago. ↑ Wescott, Bob (2013). The Every Computer Performance Book, Chapter 3: Useful laws. CreateSpace. ISBN 978-1-4826-5775-3. ↑ Rapaport, William J. (20 September 2013). "What Is Computation?". State University of New York at Buffalo. ↑ "Multi-Paradigm Programming Language". developer.mozilla.org. Mozilla Foundation. Archived from the original on 21 August 2013. ↑ Meyer, Bertrand (April 2009). "Viewpoint: Research evaluation for computer science". Communications of the ACM. 25 (4): 31–34. doi:10.1145/1498765.1498780. ↑ Patterson, David (August 1999). "Evaluating Computer Scientists and Engineers For Promotion and Tenure". Computing Research Association. ↑ Fortnow, Lance (August 2009). "Viewpoint: Time for Computer Science to Grow Up". Communications of the ACM. 52 (8): 33–35. doi:10.1145/1536616.1536631. ↑ Burns, Judith (3 April 2016). "Computer science A-level 1970s style" . Retrieved 9 February 2019. ↑ Jones, Michael (October 1915). "Developing a Computer Science Curriculum in England: Exploring Approaches in the USA" (PDF). Winston Churchill Memorial Trust. Retrieved 9 February 2019. ↑ "Computer Science: Not Just an Elective Anymore". Education Week. February 25, 2014. ↑ Wilson, Cameron; Sudol, Leigh Ann; Stephenson, Chris; Stehlik, Mark (2010). "Running on Empty: The Failure to Teach K–12 Computer Science in the Digital Age" (PDF). ACM. ↑ "A is for algorithm". The Economist. April 26, 2014. ↑ "Computing at School International comparisons" (PDF). Retrieved July 20, 2015. ↑ "Adding Coding to the Curriculum". The New York Times. March 23, 2014. ↑ "Percentage of Bachelor's degrees conferred to women, by major (1970–2012)". 14 June 2014. Retrieved July 20, 2015. 1 2 James, Justin. "IT gender gap: Where are the female programmers?". TechRepublic. ↑ "what [sic!] gender is science" (PDF). Retrieved July 20, 2015. Tucker, Allen B. (2004). Computer Science Handbook (2nd ed.). Chapman and Hall/CRC. ISBN 978-1-58488-360-9.
van Leeuwen, Jan (1994). Handbook of Theoretical Computer Science. The MIT Press. ISBN 978-0-262-72020-5. Ralston, Anthony; Reilly, Edwin D.; Hemmendinger, David (2000). Encyclopedia of Computer Science (4th ed.). Grove's Dictionaries. ISBN 978-1-56159-248-7. Edwin D. Reilly (2003). Milestones in Computer Science and Information Technology. Greenwood Publishing Group. ISBN 978-1-57356-521-9. Knuth, Donald E. (1996). Selected Papers on Computer Science. CSLI Publications, Cambridge University Press. Collier, Bruce (1990). The little engine that could've: The calculating machines of Charles Babbage. Garland Publishing Inc. ISBN 978-0-8240-0043-1. Cohen, Bernard (2000). Howard Aiken, Portrait of a computer pioneer. The MIT press. ISBN 978-0-262-53179-5. Tedre, Matti (2014). The Science of Computing: Shaping a Discipline. CRC Press, Taylor & Francis. Randell, Brian (1973). The origins of Digital computers, Selected Papers. Springer-Verlag. ISBN 978-3-540-06169-4. Peter J. Denning. Is computer science science? , Communications of the ACM, April 2005. Peter J. Denning, Great principles in computing curricula , Technical Symposium on Computer Science Education, 2004.